My Hetty Fox cozy mystery series has always been my best seller, so I was somewhat surprised when one day I woke up thinking that dear Hetty needed new covers. I’ve been in this publishing game for a bit but I’ve always made my own covers. I started out wth Gimp, a sort of free version of Photoshop. I always thought it did a decent job. But once my son introduced me to Chromebooks, I found Gimp a bit more trouble to use than it had been. 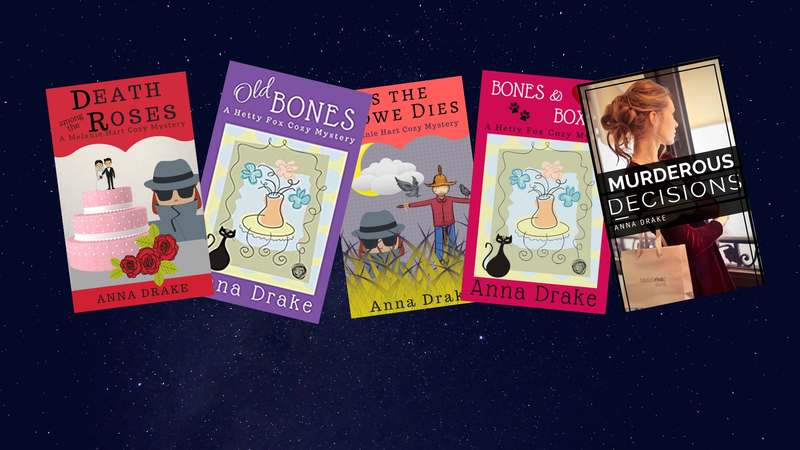 Thanks to a recommendation from a fellow publisher, I found Canva.com, where I happily settled in and busily turn out one cover after another. And I was pleased with my efforts until just a few days ago when I woke up thinking that my Hetty Fox books needed a facelift. I have since learned that several authors change covers every few years. I had not known this, but I am pleased to discover I’m not the only author to do this. My original covers for Hetty featured a single graphic which I obtained many years ago. I would take that graphic and put it on a new background for each book and slap on a fresh title. As I said the books were selling reasonably well so I did not see an immediate reason to change what I was doing. Plus I had learned how to more effectively use Canva, and I am delighted say I am thoroughly pleased with my upgrade for Hetty. So without further Ado let me get visual in this post. Here are a couple of the old covers and the new ones. and please feel free to share your opinions. This is still a work-in-progress I have a couple more covers to do, but here are those that I have finished.